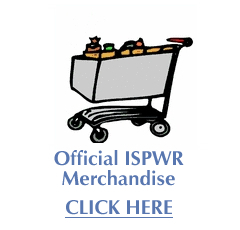 The International Society for the Preservation of Women in Railroading, ISPWR (pronounced is power) is your personal resource and distribution center for information about Women in Railroading. 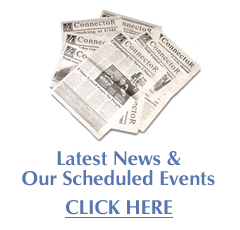 From the Harvey Girls to Rosie the Riveter, our collection of information is available to you via our website or by contacting us directly. The files are filled with bios of famous women, personal recollections, historical and current railroad data, stories, photos, reference materials, books, newspaper and magazine articles, collectibles and more. Along with our database, we are pleased to offer you educational and entertaining ways to learn about Women in Railroading. 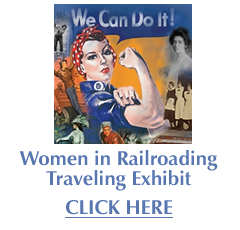 Please browse through our web pages to find out about the Women in Railroading Traveling Exhibit, theatrical productions and performances, reference materials, and available books at our store, you can also check out our animated mascot, TrainGirl™. Whether it's for your museum, school, club, organization, historical society, library, or railroad festival, ISPWR is here to help you get the information you need. If there is a something in particular that you are interested in or looking for, please feel free to contact us at anytime.